You can teach your kids how to code and program starting at 4 years old. They can start learning concepts such as "algorithm" i.e. a sequence of steps to solve a given problem. 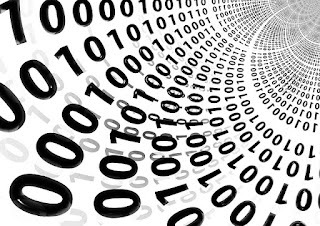 These two websites contain several resources and tutorials to help you teach coding for children. Hour of Code: hour long lessons that teach kids the principles of coding using blocks, and contains themes such as Frozen and أو Angry Birds. Lessons to teach kids how to build a simple game called Flappy Birds. A series of lessons for kids starting at 4 years old and up to ten years old. Links and resources for lessons and tutorials from other websites. الوصلات والروابط للمزيد من المواد التعليمية علي مواقع أخري. Links and resources for other educational materials for teachers and educators. Scratch is a visual programming language that is provided free of charge by MIT. It aims to enable children to create interactive stories, games, or animations, and share them online. Scratch Ed: an initiative from Harvard University that delivers a hub for educators and teachers to share resources and tutorials about how to use Scratch. 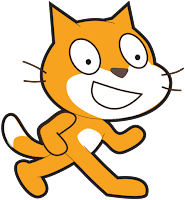 Scratch Junior: a simplified version of Scratch suitable for kids in the age of 5-7 years old. It provides an app for Android and Apple tablets.